This will be the first time EVER I've lost a little weight during vacation :D I'm finally learning how to eat without having to watch so hard ^_^ I ate a little bit of everything in moderation and only when actually hungry. Keep the momentum going! A new game has been set up for all players starting on Mar 13, 2019. 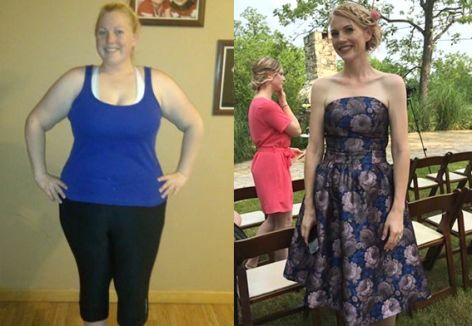 - Most Generous Liker: Maddy M.
- Most Liked Comment: "I can't believe I reached my goal weight for this challenge. I haven't been this low in 10 Years - and I'm 32 ;-). 5 more to go. But more importantly: I've never been this healthy. I take care of myself, eat mostly healthy and excercise 3 times a week. With a history of eating disorders, I could not be more proud of what I am accomplishing. Alexandra L. , krisvdam and 4 others like this comment. The cash out option has not been sent to my Paypal. I had no problems with a previous dietbet win last year. How long does it take to process? It reflects that you sent the money but it is not in my paypal. Pamplemousserousse , Elysia and 9 others like this comment. I was wondering this too. I had another bet end on the same time frame yesterday and got paid 6 minutes after the deadline. Still nothing for this one. It’s taking a lot longer than usual. So is my Transformer. I was within a lb of goal before I left on this trip... but still in the airport so might not get to weigh in. Going to count it as a mental win and keep losing! Alexandra L. , Jillian A. and 9 others like this comment. I haven't recieved my confirmation yet... It's been about 14 hours since i weighed in... Is that normal? sugarkissed , emmeenan , Marta A. and Jamie L like this comment. Hmmm. Mine only took a couple hours yesterday! I did not think I was going to make this one and I got in just under the wire by .1! Ahh! I'm so excited! 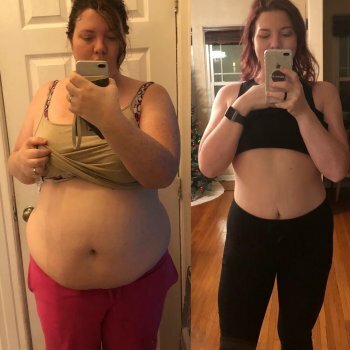 The scale had been fairly stagnant the last week and I didn't think it would ever move again and had given up on winning. Then 2 nights ago I passed out at 6pm and slept 14 hours and apparently that was just what my body wanted. Woke up the yesterday within a pound from goal and then it was on! Calories and macros on point, 1 hour with the trainer and 1 hour taking an aqua strong class in the pool for the first time and this morning I was .1 under goal! I'm so pumped and feel like I'm back on track! Meeting this Dietbet goal weight puts me at 20lbs down since the beginning of the year and 11 away from the max skydiving weight allowed before my jump in April! Eeee! Loved this group of girls! Thank you for all the support! Susie , Sae and 10 others like this comment. That is all so amazing!!! Your body totally needed the sleep! Congrats on your win here and your 20 pound loss so far! Keep it up!! I won! Barely! I hope to see you lovelies in other dietbets. This was one of the most active ones I’ve ever been in. Susie , Sae and 8 others like this comment. emmeenan , Dawn B. , Jamie L and Cat like this comment. Yes! 0.4 extra from my target just in time. It's been bouncing back and forth for the last couple of days! Very proud! Well done to everyone and thanks for the encouragement!!! Instagram @beckibeaty. Thank you everyone! emmeenan , Cat and 7 others like this comment. Followed! Congratulations on surpassing your goal! !